National Institute of Electronics & Information Technology, formerly known as the DOEACC Society, is a society that offers information technology training at different levels. It is associated with the Ministry of Electronics and Information Technology of the Government of India. Applicants who have completed 12th / Graduate/ Master Degree or equivalent from a recognized Institute for NIELIT Recruitment 2019. 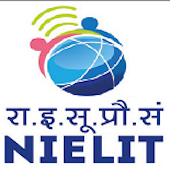 Eligible & Interested candidates can Download Notification From Official website page at www.nielit.gov.in NIELIT Recruitment 2018. Phase-VIII, Sector 72, Mohali(SAS Nagar), Punjab-160071.